Just came across this interesting article by Allison Pond from Deseret News, 9 Ways to Teach Your Kids About Poverty Better Than Disney, that I found very interesting. "A recent study from Duke University looked at the highest-grossing children’s movies and determined that they sanitize poverty and inequality by making them seem like no big deal. How class is represented in children’s movies matters, said Jessi Streib, lead author of the Duke study, because if kids believe that simply working hard ensures success, they could blame themselves or others who don’t achieve certain things in life and assume they are lazy. “It can end up being a viewpoint that doesn’t allow for a lot of empathy or for understanding how social class actually works,” she said." First of all, I find it kind of refreshing to be looking at Disney/popular kids' movies for something other than gender portrayals. And it's true, class portrayal is much more overlooked. However, I'm not sure how I feel about all the points in the article. It's pretty difficult to lump all Disney movies together; we have almost a century's worth of Disney classics to choose from by now, and the article mentioned Snow White (1937) through Aladdin (1992). “We damage children by only exposing them to happy endings. That’s not how life works, whether you’re financially stable as an adult or not. Failure is part of everybody’s life experience,” she said. She noted that many stories for children don’t end well. Yet, it's an issue to look at because it's not just present in Disney movies, but tends to be an integral part of fairy tales. As the study points out, not all fairy tales end happily, but honestly, many of them have a protagonist who goes from poverty to wealth, and yes, it's unrealistic. In a way I think, we all know on some level that fairy tales-especially cartoon musical versions of them-are not meant to be realistic guides for life, and part of me thinks, "what's the big deal?" (I also tend to be defensive because I'm one of those kids that grew up on a heavy diet of Disney entertainment). Yet at the same time, there can be power in those movies we watch (and rewatch) as children that inspire us and can subconsciously influence us. When most fairy tales were being told, the prospect of actually rising through the social ladder of society was basically impossible. The idea of upward mobility was complete wish fulfillment. Yet now we have the idea of the American dream, and some examples of people who really did work their way up to success, which lends to the societal ideal that anyone who works hard can succeed and that anyone in poverty must just not have worked hard enough, which is a gross oversimplification. The article states that showing the dwarfs happily mining is an example of over romanticizing the poor. But...the dwarfs fill barrows full of valuable gems every day, they're hardly living in poverty...even though they live in a tiny cottage in the woods and all share one bedroom. But that's one of those things that doesn't necessarily translate into logical examples. For a child, the idea of mining gems is more exciting for the idea of discovery and pretty shiny gems, not necessarily the money that would result (we don't see evidence that the dwarfs go and sell their gems either, but they somehow afford food). The article also points to the scene in "Aladdin" where Aladdin and Jasmine are both talking about the difficulties of their lives and realize that they have more in common than they think-they both feel "trapped." Pond says it's quite a stretch to suppose their difficulties can be compared, with Aladdin going hungry and Jasmine seeking teenage independence. Yet there's so much more going on there-first of all, even as a royal, as a woman, Jasmine really would have had far less autonomy than a male in a royal position-I don't really blame her for freaking out about the prospect of being "given away" in marriage ("I am not a prize to be won!"). The characters are finding ways of relating to each other, especially as they realize that one thing they both lack is a loving relationship. And while we should never use the idea that people in poverty just "get used to it" as an excuse to ignore the fact that so many people around the world lack basic human rights such as food, shelter, education, or fair wages, we also shouldn't fall into the trap of thinking that having enough wealth equals happiness. People in poverty can also be the most generous, and people with great wealth can often be discontent and unhappy. I think it's important to be challenged to be content with what we have, and to value relationships more than material possessions. I think, honestly, another danger middle class people can fall into is looking down on the wealthy-we think we have the right to judge celebrities much more harshly than other people, and tend to diminish any struggles they have, while we remain ignorant of the unique pressures people face in their roles of power and influence. We can even feel a sense of pride in the fact that we don't "squander our money" on "luxuries" when comparing ourselves to the most wealthy, while failing to realize that our daily lifestyles would be considered totally luxurious by so many around the world. It's an issue I haven't thought about much myself, I'd love to hear all of your thoughts! Thanks for sharing! I followed the link and read the article, which I'm afraid I found rather patronising. As for the bit about "if I made a movie" it admitted, "It would make a bad children's film" I agreed but not for the reason she suggested, ie the sad ending. Kids can and do handle that. It's because they don't take to being preached at. They would be bored very quickly with an Allison Pond movie. I dunno. Generations of kids have grown up with Disney movies without being damaged too much. It's people born into wealth who think that poor people deserve their poverty. Like that billionaire woman here in Australia who wants to pay her workers two dollars an hour - and would if she could get away with it. And a woman I used to work with who was of a wealthy family, married to a well paid professional, who was doing this job for pocket money. She used to say that poor people were poor because they wasted their money on lotto tickets! She really had no idea. She was a pious member of the church who would have turned Jesus away from her door, telling him to get a shave and find a job. Yeah I also wasn't sure about her "ideal movie"-she would show characters from all classes working hard; that's great but what about people from all classes who don't work hard, or work moderately? People from all ends of the spectrum exist, and each individual children's movie can't be expected to address all possible options out there, and maybe that's what Pond doesn't realize. And it's sad, as you say, it's really a human problem that would frankly still be there on some level without movies reinforcing ideas people already have. And as you say about the woman who thought all poor people wasted money on lottery tickets, she "really had no idea." If that's what people are taught when they're raised, a few movies with hard working lower class characters won't change their ingrained assumptions either. The point of a movie shouldn't be to teach a lesson or be realistic so much as it should be to tell a good story. The other things can be nice add-ons, but not if the story suffers by their inclusion. Yes!! I completely agree...I was just thinking about this too, how we expect different things from stories than we expect from real life. We want a plot arc, conflict and resolution, we expect the little details to serve some purpose later. Even great tragedies have some kind of meaning. Y'know, I never realized before that Jasmine's problems in Aladdin really were more the pre-Industrial Arabian equivalent of first world problems. Cinderella shows how low social status can make a person vulnerable to abuse and despair, even if they work hard and strive to be positive. It also shows that something extreme, like magic, is needed in order for a poor person to get the same opportunities as a rich person. Mulan, arguably, has the heroine wind up in the same social position as she started in even after doing heroic deeds, rather than fulfilling the standard American Dream trajectory. Robin Hood obviously shows a lot of lower-class animal-people suffering through no fault of their own, and needing rescuing not because they're stupid or lazy, but just because they're powerless. I was also thinking about Princess and the Frog, how they show Tiana working over full time, and still encounters lots of difficulties in her dream of trying to open a restaurant. Of course, all the examples we mentioned still end happily, which is what Pond thinks is unrealistic, but if they ended with Tiana never being able to open a restaurant, what message would that send? I think it would come across more like "There's no point in working hard and trying, kids, just give up now" and not "life is unfair but you should still work hard and do your best, just in case"
Fair enough. I was just trying to make a little joke, not derail the topic of this comment section and I could see that happening. I find it odd that she lists Anderesen as a positive example of class portrayal. Andersen's depictions of the lower classes are highly problematic. 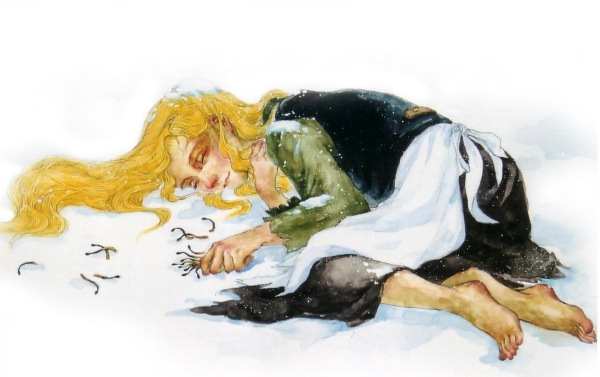 "The Snow Queen" downplays consequences of poverty as "no big deal" (just as she accused Disney)and portrays Kai's discontent with being poor as part of the mirror's curse. 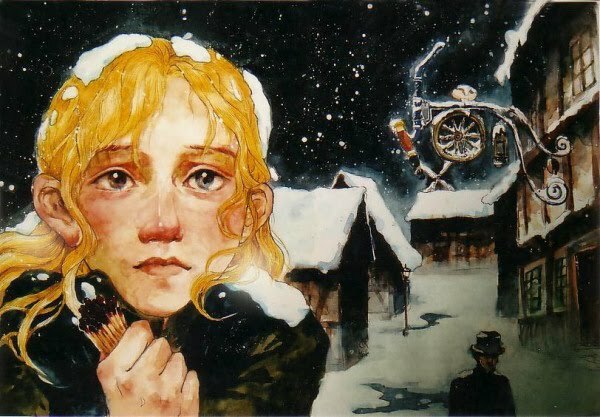 "The Little Match Girl" has the messagethat earthly suffering, while depicted drastically, will eventually be repaid in the afterlife, therefore encouraging both upper and lower classes not to change the circumstances that cause the suffering, furthermore the rich people in the story are not actually portrayed negatively, instead their life styles are glorified. And the message of "The Lights" is that since poor people are content with less, rich families are not in fact more happy than poor families. Even more socio critical stories like "There Is A Difference" in which a twig of an apple tree tries to convince himself that he is better than a dandelion, despite constant evidence of the contrar, but has to admit in the end that heisn't, carry classist connotations. In the end the twig is not convinced by the children, the peasant woman or the student, but by the judgement of a duchess that there is in fact no difference. Of course many of these problems are due to the historical circumstances in which for instance judgement from a peasant of even a student was actually seen as inferior to that of an aristrocrat (and in fact especially in older Disney movies that historiical context plays a big role as well: During the impression having a stable job in mining might have actually be a reason to happily sing), but just like watching a Disney movie should involve a discussion between child/children and parent/s after the movie is over, so does reading a story that is even older and might convey values that are not topical anymore. An unhappy ending does not make for a realistic story. Besides I find the notion that Disney movies, most of which are fairy tale adaptations, need to be reaistic quite ridiculous. If they were realistic, they wouldn't be fairy tales. Asflawed as Bettelheim's reasoning is in certain parts, he isright aboutchildren *needing* fairy tales and their unrealism in order to develop. 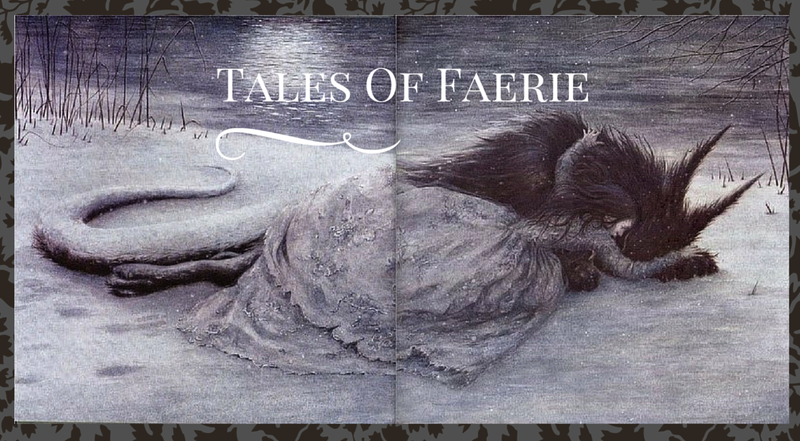 A fairy tale does not speak to the conscious, but to the subconscious. A beggar becoming a prince is a powerful mental image that gives hope to a young child that often enough feels powerless. Fairy tales are important. And usually children are very good at recognizing that fairy tales aren't meant to portray the real world. Of course that doesn't mean that a child should only be given acess to Disney movies and fairy tales. Of course that would schew a child's worldview. There is variety in children's media and there needs to be. Fantastic stories and fairy tales, fictional books that cocern themselves with real life and its problems and non-fiction books teaching children about nature and technology all help children understand the world surrounding them and especially for young children(older children should imho be allowed their own choice to an extent) parents should duo research and pay mind to the choices they make when it comes to pick out children's media. I believe this was the message the article tried to convey, once you got past the poorly researched Disney references. Also the tips given at the end of the article are actually very good and helpful and would have done better without two pages Disney bashing before actually getting to the point. Yes, I love so many things you say here. To be fair, the article never applauds Andersen for his class portrayal but for the fact that so many tales end tragically (I added the pictures of Little Match Girl just because it was one of the few fairy tales I could think of that really does show the poor suffering. 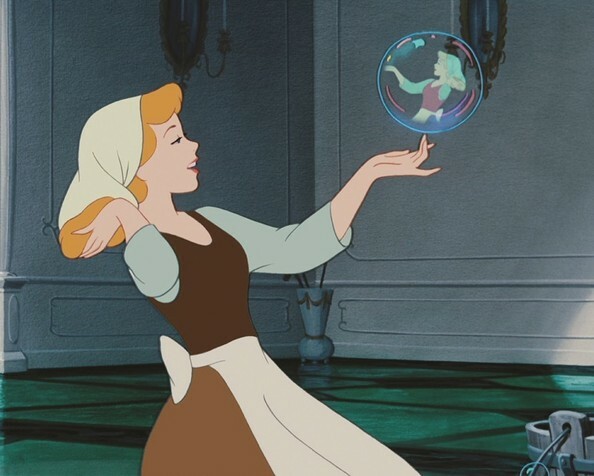 Even in Cinderella, you could say it's more about her suffering unjustly because she was born into a higher class...it would be awesome if there was a version where Cinderella totally reforms servant rights and treatments once she becomes Queen...). But yes, I totally agree that "an unhappy ending does not make for a realistic story." Unhappy endings can be done well or done poorly, same with happy endings! 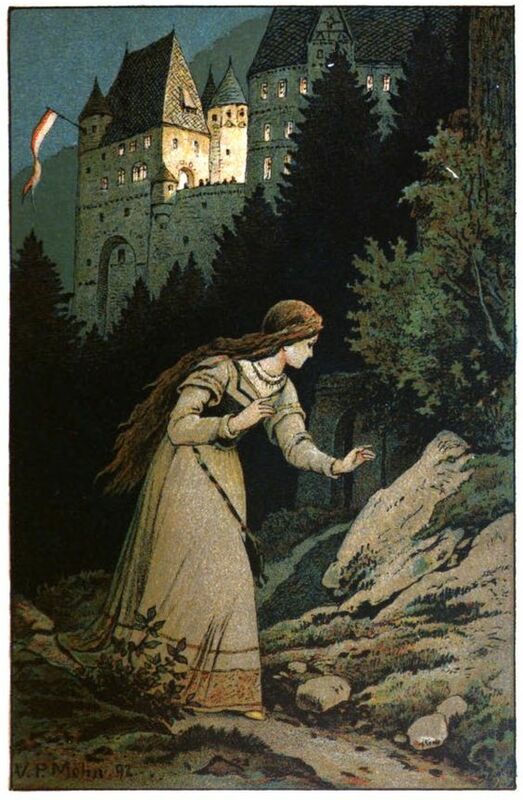 I also love your thoughts on seeing fairy tales as a powerful image of giving hope to the powerless.